210 Rs. : Per Pc. 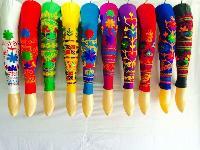 We are offering embroidered designer leggings material- cotton lycra. 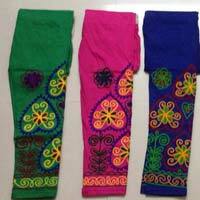 We are a preeminent supplier of Ladies Embroidered Leggings from Bangalore, Karnataka. 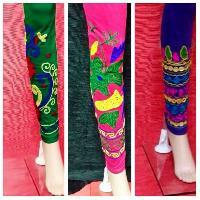 These ladies embroidered leggings are available in a variety of attractive colours with elegant embroidery. 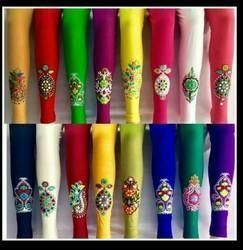 These ladies embroidered leggings are made from superior quality material, which is colour fast and very durable and is easy to maintain. 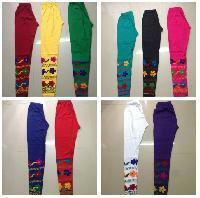 You can avail these leggings at reasonable prices from anywhere in India. 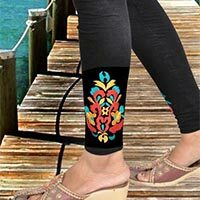 These Embroidered Leggings have beautiful handmade floral design at the ankle and are available in different colors. Clients can approach us for placing orders, timely deliveries of the same are guaranteed with us. The raw material that is used for manufacturing superior grade products is sourced from the reliable places after complete quality confirmation. 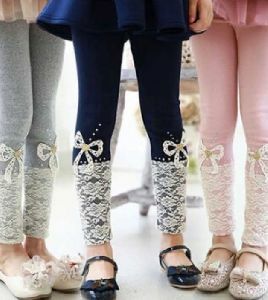 We are ranked among responsive and responsible Manufacturers & Suppliers of a huge collection of Ladies Embroidered Leggings . We make them available in varied designs, styles, patterns, sizes and color combinations. 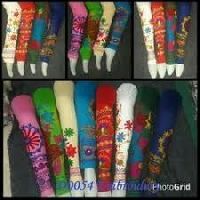 Buyers can get Ladies Embroidered Leggings from us in bulk/ retail amount at market leading prices. 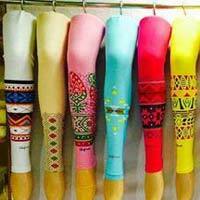 We offer customized Ladies Embroidered Leggings from our buyers’ convenience as well. 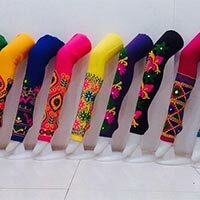 We are a leading enterprise in this domain, engaged in manufacturing, exporting, distributing and supplying our precious clients embroidered leggings. 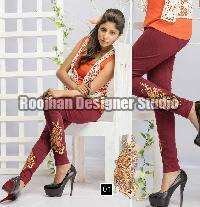 These leggings are designed and stitched using supreme class fabric in compliance with set industry norms. The offered finest quality leggings are compatible with top, kurties and various other garments to get the unique and perfect look.